During the Medieval times inflicting pain and torture was an accepted form of punishment or interrogation. The cruel and pitiless torturers were induced to inflict the horrors of torture or punishment, including the Boot, on the pitiful prisoners. Different types of torture or methods of punishment were inflicted, depending on the crime and the social status of the victim, using various methods and various types of devices or instruments. There were no laws or rules to protect the treatment of prisoners who faced torture or punishment, such as the Boot. No matter what the type of torture or punishment was used it was seen as a totally legitimate means for justice to extract confessions, obtain the names of accomplices, obtain testimonies or confessions or to impose a penalty, sanctioned by law for a wrong committed. The following description provides facts and information about the Boot torture. Various tortures and punishments were invented to inflict excruciating pain on the feet. The advantage of these types of torture was that the victim rarely died. The Spanish boot were high boots made of spongy leather had been placed on the culprit's feet, he was tied on to a table near a large fire, and a quantity of boiling water was poured on the boots, which penetrated the leather, ate away the flesh, and even dissolved the bones of the victim. There were several types of the foot press. The foot press consisted of a pair of horizontal iron plates which tightened around the foot by means of a crank mechanism in order to lacerate the flesh and crush the bones of the foot. Variations were added including the addition of hundreds of sharp spikes to the plates and horrifically a crank mechanism was connected to a drill, so that when the instrument was tightened around the foot a hole was drilled in the center of the instep. Foot roasting was also a method commonly used. The soles of the feet were smeared with lard and slowly roasted over red-hot coals. A bellows was used to control the intensity of the heat and a screen could be interposed between the feet and the coals as the victim was questioned. If the questions were not answered satisfactorily, the screen was withdrawn and the naked soles were again exposed to the flames. 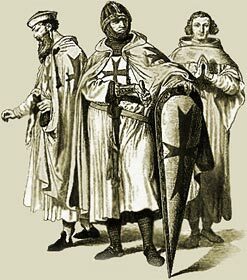 Foot roasting was inflicted during the persecution of the Knights Templar. Their leader, Jacques de Molay was burnt until his feet were charred to the bone resulting in his foot bones ( metatarsals ) falling to the floor. The Medieval Life and Times website provides interesting facts, history and information about the heroes and villains in this era history which scatter the Medieval History books. The Sitemap provides full details of all of the information and facts about the fascinating subject of the lives of the people who lived during the historical period of the Middle Ages. The content of this article on Boot provides free educational details, facts and information for reference and research for schools, colleges and homework for history courses and history coursework.